Orange is the new lemon. We’re officially at the height of citrus season, and with the bounty of fresh produce available in stores, it’s easy to feel overwhelmed by its abundance. After all, how many different ways can one consume an orange? Spoiler alert: a lot. With that in mind, we’re focusing on one specific fruit within the broader citrus category and sought the sweet and savory recipes that make the best use of it. Ahead are the most indulgent uses of fresh winter oranges. Blood oranges and heirloom carrots make for way more than just a visually pleasing pairing—the vitamin-loaded combo is just as easy on the taste buds as it is on the eyes. From chef Andy Bennett of Chelsea’s Rouge Tomate comes a savory blend of carrots, radishes, and a mint-arugula blend dressed with freshly squeezed orange juice and whole slices of the fruit. We’re channeling warmer weather with this refreshing combo of fennel, Valencia oranges, radicchio, and mint featuring a French mustard-garlic vinaigrette. This crowd-pleaser from Bon Appetit is the appetizer every dinner party deserves. The Manchego may seem like the star of the show, but let’s be real, the rosemary-spiced orange slices really seal the deal. For those who are not partaking in dry January, take note from By Gabriella and incorporate the sweet citrus fruit into a zesty cocktail. While you can make this cake with virtually any fruit, we’re especially partial to Call Me Cupcake’s rendition featuring blood oranges. Classic sweet rolls get a sweet and tangy upgrade courtesy of the zesty addition of oranges from Two Red Bowls. Pro tip: Take things to the next level by using freshly squeezed orange juice. Switch up your standard weeknight dinners with this sweet and savory stir-fry from Half Baked Harvest. The freshly squeezed orange juice–marinated beef is really something else. 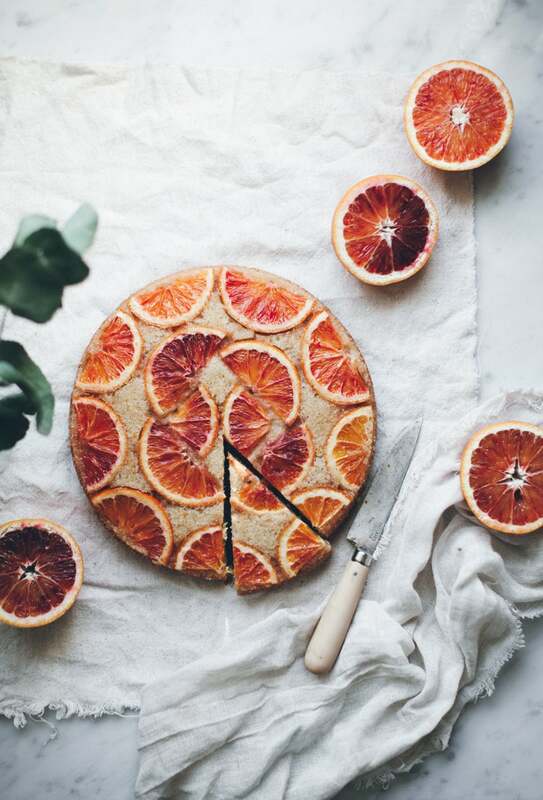 Topped with Swiss meringue buttercream and loaded with a fresh mix of oranges and tangerines, What’s Gaby Cooking’s take on sheet cake is one we can definitely get behind. Layers of oranges and pears combine with a spiced mix of onions, Medjool dates, and pine nuts in this indulgent yet refreshing salad from Fine Cooking. We can’t think of a better way to start the day than with a freshly made Cara Cara orange marmalade on buttered toast. Christelle is Flabbergasting definitely has the right idea. Okay, sure, this one isn’t technically edible, but it’s refreshing all the same. Draw a bath with an array of winter citrus for a delightfully fresh soak.